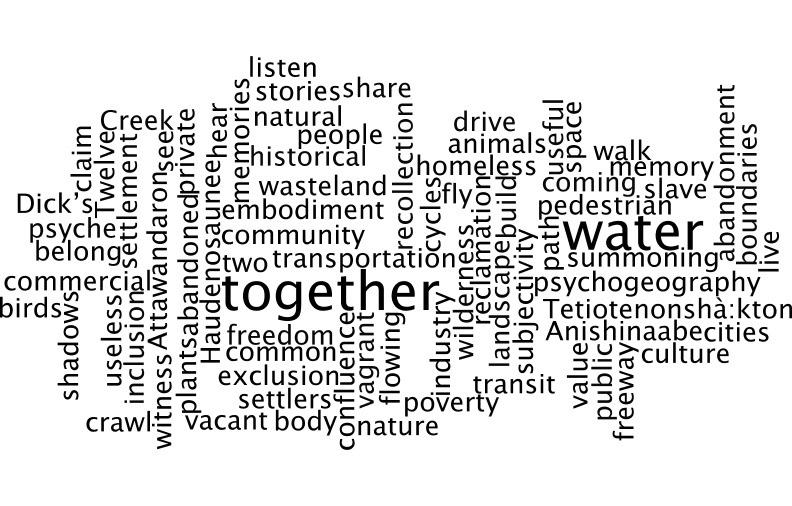 The wordcloud offers your walking group the option of choosing a “lens” here for your walk. Our experience is always framed by the lenses through which we see the world, that shape our perception. This is just an option to give your group a shared and foregrounded lens – of course you can create your own or just walk “free-form”.